One of the things I like doing is supporting local artisans, and Crafts and Papeteries is exactly that. I found them on a local buy and sell group, and they were advertising TNs of various designs and colors. The red leather, of course, caught my eye and before long I was ordering myself a Buhay Traveler’s Notebook in pocket size. Buhay means “life” or “alive” in the Filipino tongue, and I thought it was quite appropriate. My planners are my life basically! It was a custom order which means basically that they did not have a ready-made stock of the specific size and configuration I wanted. It took a while to get to me, but I thought it was definitely worth the wait. I also wanted to mention that the owner Glenda was quite kind and accommodating, and in fact had to do a repeat of my TN because the first one did not pass her quality standards. I really appreciated that a lot! I knew that when I get my TN it would be perfect, and it is! And here she is! My Buhay is a red leather (of course! ), and this particular leather is extremely soft and flexible. It is also quite textured, and feels very nice to the touch. I actually find myself unconsciously petting it! It came with two silver charms, one on the closing band and says “Live Life” and another on the elastic bookmark with one side saying “Life is a gift” and the other with a beautiful tree. I felt like these were nice touches, and I’m happy that it came in silver since I prefer that over gold. Here’s what the inside looks like. It comes with four inner strings which means it can take 4 inserts. Actually Glenda says it can hold up to 6 inserts, but I haven’t tried that myself yet. There are four card slots on the front cover, and full-length pockets on both sides. It also has a pen loop, which can take regular sized pens. Of course I wanted to field test it, and the best way to do that is to use it as my wallet TN. Here I set it up with my Chrisella09 fabric wallet insert and a Word. notebook, plus all my cards, cash, and paraphernalia that usually comes in my wallet. They all fit perfectly! With all the cards, coins, and papers and stuff, it seems like the width is perfect. The cards did give some structure to the very floppy leather, but you can see that it still hugs the inserts. Here’s a nice view of the rump. Doesn’t it look gorgeous? Here’s a video flipthrough of the Buhay TN as wallet. This TN is very reasonably priced at Php800. I’m quite happy and satisfied with my order, and I am definitely going to get more from them! Check out other Crafts and Papeteries products through their Facebook page. 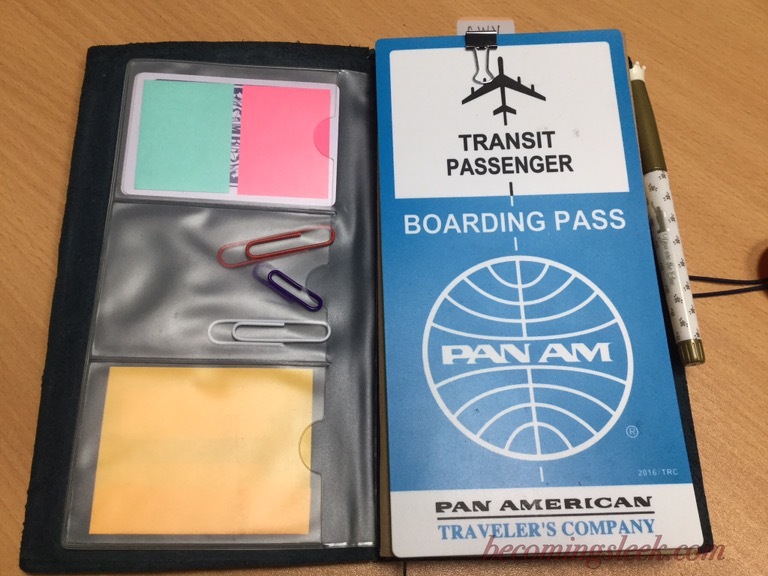 Among the various options for traveler’s notebooks, the pocket size is really the one that seems to fit well with me. One of my favorite TN brands is Chic Sparrow, and at the moment, I have five pocket TNs of various leathers and configurations. Outlander Jitney Red – This is possibly my most flexible Chic Sparrow. The leather simply bends without resistance, and molds quite attractively around the inserts. It’s not really any sort of red honestly, but it remains one of my favorites because of the suppleness. It marks quite easily too. Odyssey Penelope – I got this from a second chance sale. As far as I know, Odysseys are basically Mr. Darcy leather that has been pre-distressed. The one I got is a very dark brown, quite stiff, and very distressed. I’m thinking of rolling it a bit more to soften up the leather, since I am no longer worried about damaging the leather since it’s already distressed. Mr. Darcy Amaretto – As I have been looking for a nice, brightly hued red TN for a while, I did not hesitate to get this one when it released even though Mr. Darcy leathers are often stiff. I’m not too concerned that it will show scuffs and marks, but I would love this to be a bit more flexible. I would have gotten the Pemberly Poppy which is basically the same shade of red, but I thought I’d like to try this one first. Amaretto is possibly my favorite TN right now. Creme Brulee – Creme leathers are very luscious and tactile, and this one is very enjoyable to hold and caress. The pockets make it a bit chunky, but it doesn’t detract from the softness of the leather. Pemberly Tenerife Sea – I also got this one from a second chance sale, and I am glad to get a bright colored one. Tenerife Sea is very hard to capture on camera, since it can range anywhere from blue, teal, and green. Pemberly leathers are also quite flexible, and this one is also quite pebbly. I’ve been trying out a new filming setup, and I thought I’d test it out with a showcase of my Chic Sparrow pocket TN collection. Recently, I decided to switch up my work TN from a standard size TN to an A5 TN. 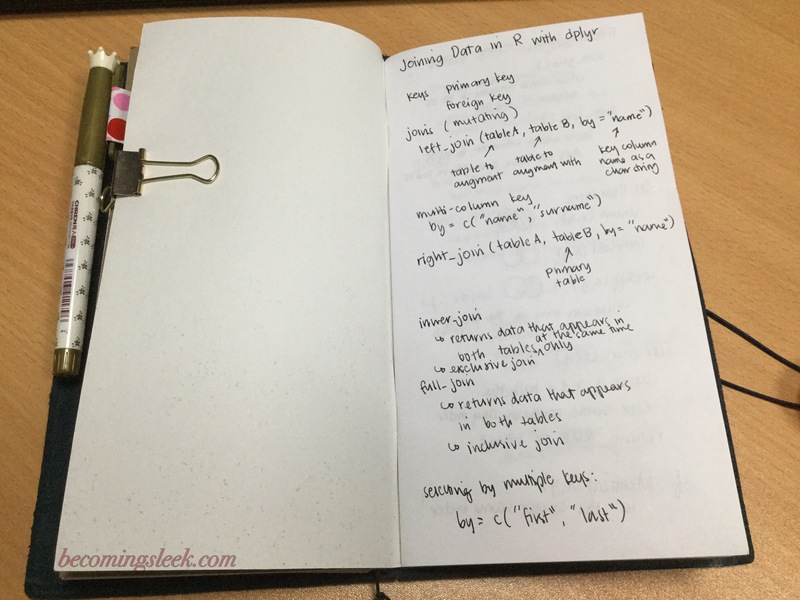 I realized that while the standard size is good for notes, I wanted more space to do mindmaps, rough charts, and free form note taking. A5 seems like a good size, so I went about looking for an affordable A5 traveler’s notebook. It was a toss up between the Laro Planner from Jacinto and Lirio (a local stationery and bag company) and an A5 notebook cover from Lihit Lab. I decided to go with the Laro Planner because 1) it’s a local company with objectives that I agree with, 2) it already comes with an insert with pockets (with zippers! ), and 3) it was a bit cheaper. 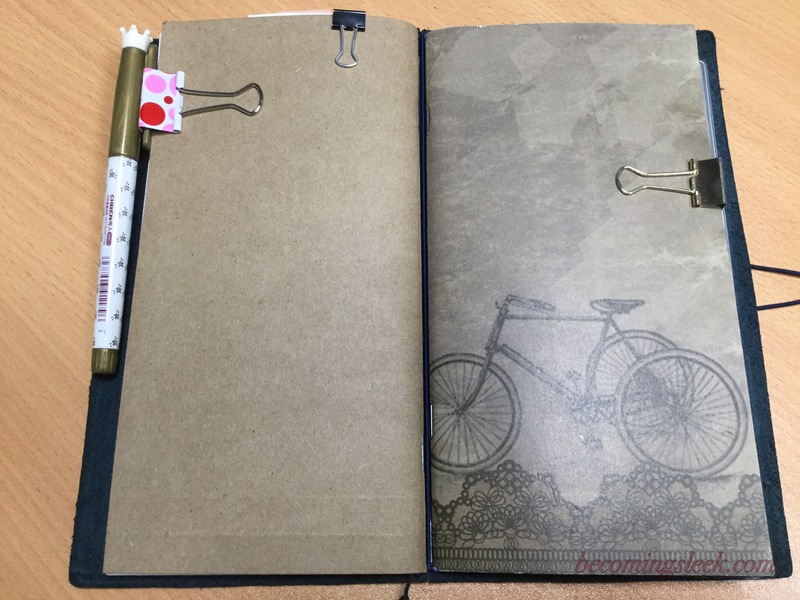 I did not use the included planner, but I could see that it might be useful at some point in the future. I immediately loaded my existing work notebook and an extra notebook I’m planning to switch to when I run out of the current notebook. Initial thoughts: The Laro Planner, while red, looks professional enough. I feel like I can take this to any meeting without anyone batting an eye. I’m still getting used to the larger (and thus heavier) profile of an A5 TN, and it’s not helped by having a hardbound notebook inside. I really like the yellow insert that comes with a ton of pockets! This is really the reason I chose this over other options. The water hyancinth cover brings a nice ethnic feel to it; someday I will have the courage to ink the artwork to make it pop out. Trivia: the cover art represents the childhood game of “Langit-Lupa”, which is very nostalgic for me. For Php999 I feel like I got a great deal. I bought my Laro Planner at Scribe. Check out the shop link at Jacinto and Lirio if you want to get your own Laro Planner. From left to right they are: Time Traveller Outlander, Castle Rock Pemberly, and Wine Outlander. Time Traveller and Wine are the new incarnations of the Outlander leather, but they are basically the same extremely soft and pliable and squishy leather. The main difference with the old Outlanders is that these have a smooth and shiny surface, but they are quite prone to scratches. Castle Rock Pemberly is actually my second Pemberly (I haven’t written about the first!! ), and it is an awesomely pebbly yet pliable leather. 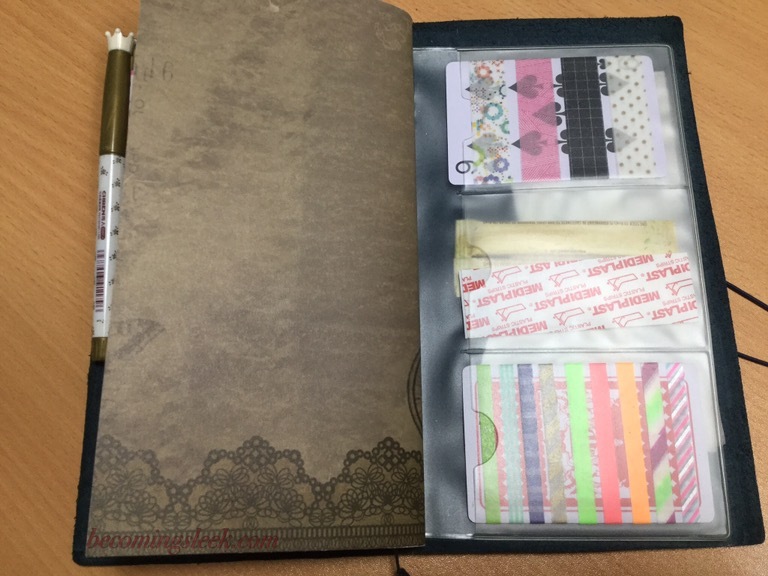 The Nano comes with only one inside elastic, but I purchased the Nano Gift Set which means along with the TN I also got a pair of ChicSparrow notebook inserts (one lined and one blank) that also has an elastic to hold them together, plus a nice suede-y dust bag. The Nano also has two interior pockets, which have a nice wavy cut. These pockets are roomy enough to hold 3-4 cards, which are great if you are using it as a wallet. Speaking of wallet, I was able to take the Wine and the Castle Rock out for a trial run as wallet TN. I filmed a video so that you can see how I set it up. The main idea is that I used a @chrisella09 fabric wallet insert to hold cash and additional cards, and I used the extra elastic to piggy back the fabric insert with a ChicSparrow insert to serve as a catch-all notebook. One (well, two) of my biggest splurges this year is a pair of custom pieces made by a local leather artisan called Jaquie Ang. After ogling her Instagram account for a while, I bit the bullet and got myself a matched Hobonichi Weeks cover and a pocket sized TN in her denim gray leather. As they were both customized according to my specifications, it took about six weeks to finish but I’m happy to have gotten it before Christmas. Let me show you the jewels of my collection. The denim gray leather is extremely supple and pliable, just the way I like it. It’s also the type of leather that marks very easily; in fact, it arrived having scratches already and it’s beautiful! Let’s take a closer look at each one. The one I really wanted to get was the Weeks cover. While I do like the red cover that I previously had, it was obviously bigger and wider than the Weeks. The one I requested fit the Weeks like a glove, and I specified that I wanted to have the cover in cover included in the fit. It didn’t come with an external closure because I wanted the option of it being just a sleeve. I made my own elastic closure in case I want to travel with the Weeks kept shut. The insides were kept very simple, with two full length pockets on both sides and a small secretarial pocket on the front. 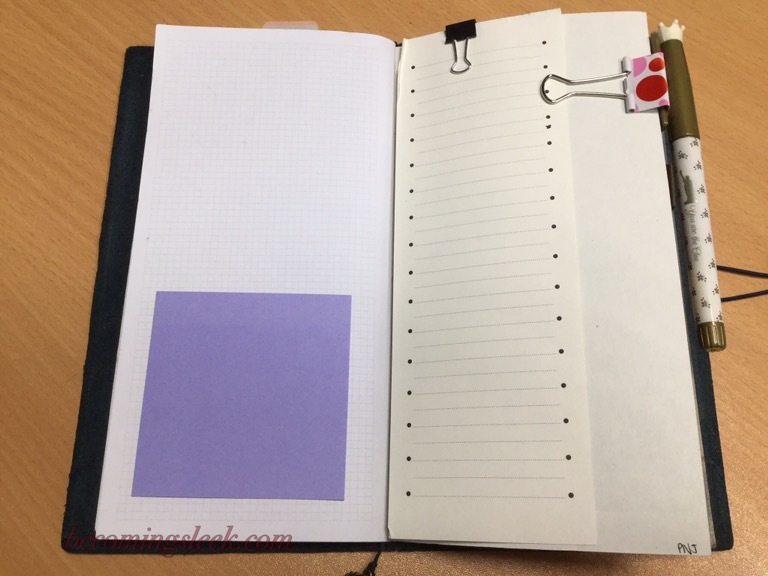 The back pocket is the one that anchors the Weeks (cover on cover included), while the front full pocket holds my stickers and the tiny secretarial pocket holds my Hobonichi stencil. The design isn’t really groundbreaking, but it suits my purposes very well. I also requested a built-in pen loop on the back cover, and specified the size of pens I wanted it to fit. The pen loop is sturdy, and does in fact fit the fattest pens I normally use (Coletos and the Hobonichi pen). Since I was already ordering a custom piece, I decided to get myself a matching pocket TN to serve as my wallet. It uses the same incredibly supple denim gray leather, and this one did come with an external elastic (though I did change it to red when I set both up). The interior is again made to my specifications. There are full length pockets on both sides, like the Weeks cover. The additional pockets are two credit card pockets in front and a large secretarial pocket in the back. Actually I didn’t order the full length pocket at the back, but Jaquie put it in for free for structural integrity because the leather as I mentioned is really pliable. The TN has six internal elastics because oftentimes I like to stuff my TNs, and because of that the spine came reinforced. At the moment I using only two of the elastics but I like having the extras for future need. Overall I’m very very happy with these two. They did not come cheap, but I feel like I got my money’s worth on both if these pieces. Did I mention they smell wonderful? If you are interested in checking out Jaquie’s other work, you could find her on both Instagram and Facebook, just search for Jaquie Ang. 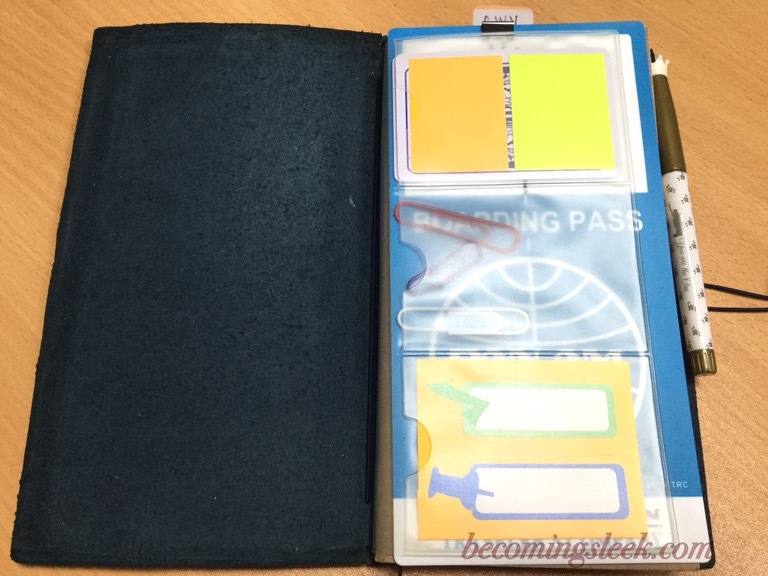 I really enjoy looking around stationery and bookstores for interesting things, and one of the these interesting things that I discovered is this very affordable standard size traveler’s notebook, which I turned into a cover for my Hobonichi Weeks. Why did I call it unbranded? It is because I could find zero traces of branding on the TN. 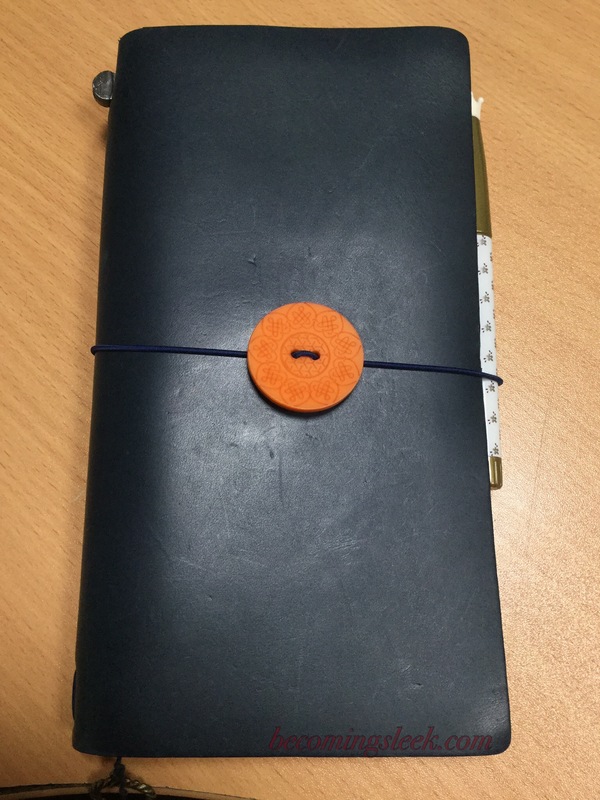 It was actually advertised as a notepad holder, and it came with an actual notepad (mine has already been claimed by my daughter, so I couldn’t show it to you). What caught my eye is the color (a nice bright Christmassy red) and the weight (very light). I am pretty sure it is made of faux leather, but I have to say that the workmanship is pretty good. Let’s take a look at the outside first. On the cover is a weird blue-foiled sentence that says “Hello. I am your best friend I hope to make you dally life to be full of funny energy” which makes me think that the maker is not a native English speaker. The blue foiling is very pretty and contrasts well with the red material, but it is already beginning to fade in parts. The elastic closure is very thick elastic, and is threaded with a metal plate stamped with “My First Step” which I thought was pretty cool. Except that it keeps wanting to turn over, and most of the time you cannot see the stamping anyway. I couldn’t figure out how to remove this metal plate without cutting off the cord, so I kept it on there as it doesn’t bother me too badly. The inside of the traveler’s notebook is the treasure! It comes with awesome stitched pockets! Before we focus on the pockets, I would just like to briefly point out that the TN comes with only a single elastic, and it is the same type of elastic as the outside one. As I am not actually using this as a TN, I just ignore this inside elastic. There is a felt-like fabric on the inside of the faux leather, and it is in a pleasing light blue shade that matches my Hobonichi pen. The left side of the cover has this interesting pocket configuration. 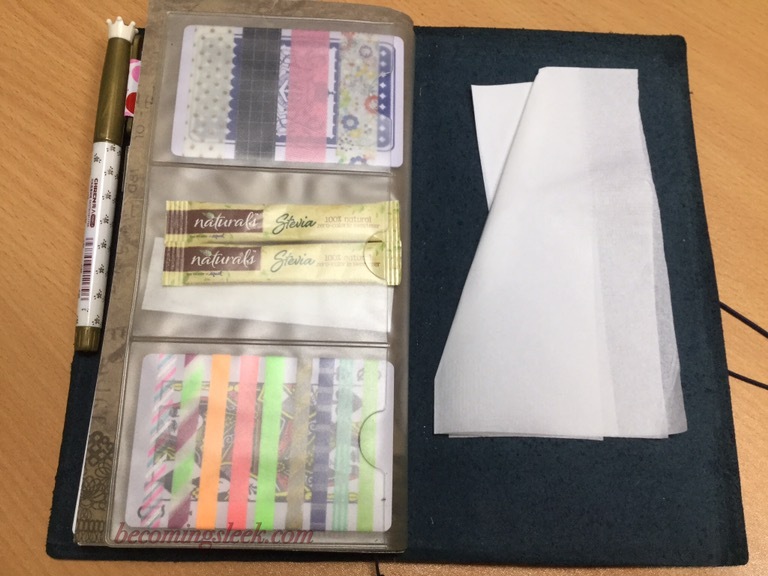 There’s a smaller, credit-card-sized pocket on top (which I use to hold the elastic closure for the Weeks), a bigger pocket below that which I use to hold a stencil and several sticker sheets, and under all of that there is a full-length pocket that I use to hold even more sticker sheets. The shape of the pockets are very pretty and unique, and the stitching seems to be acceptable enough. The right side only has a full-length pocket to match the one on the left, and into this pocket I slide the back cover of the Weeks (cover on cover included!). As you can see here, there’s a small slit near the top of the pocket, where the notepad was intended to be slipped into. In here I just inserted a Weeks notebook, and there is just enough space to slide in a second pen by its clip. I also put in a small set of decorative sticky notes into the big pocket. Here is how it looks like when closed. The Hobonichi pen goes into the pen holder I have in the Weeks, and the Zebra Sarasa into the notepad holder, and they both seem to fit snugly into the overhang space. Here it is compared to my Blue Traveler’s Company TN. It pretty much has the same dimensions, although it will appear bulkier because of the pockets. The height is exactly the same. Actually the thickness doesn’t seem too different from this angle. I’m very fortunate to discover this TN, and for the amazing price of only Php250! It’s a great Weeks cover, and I foresee using it until my custom Weeks cover arrives in December. One of the new TN makers I’ve been following in Instagram and Facebook groups is Cristina Gomes. She is from Portugal and makes the TNs herself. I fell in love with her Burgundy leather, and decided to get one in personal size, to serve as my wallet with my Hobonichi Weeks. There was a bit of a wait since she cuts and assembles the TN after each order, and of course there’s the standard shipping wait. The TN arrived and I had to find the time to come pick it up from the post office. I could barely stand knowing it’s here and I couldn’t pick it up! Finally I got it in my hands! The Burgundy is such a wonderful leather, deep dark red and almost brown really. It was stiff, especially with the pockets, but it feels like it will soften in time. It is also the kind of leather that keeps dings and marks, although it can be rubbed out slightly. I immediately set it up with my Weeks and I was relieved that it fit! I also blinged it out with some charms. There’s a look at the entire outside. As you can see the leather already has quite a lot of scratches. It came with black elastics as I had requested. Cristina’s logo is stamped unobtrusively on the back. The front has a series of seven card pockets, with a larger full-length pocket behind it. This is primarily what makes this side of the TN stiff, since there’s a lot of layers of leather here. The presence of the cards makes it even stiffer, but I’m not really bothered by that. The TN also has four inner elastics. I strung the Weeks on the back two, and the wallet/card insert on the frontmost. At the time that these photos are taken I did not yet have a personal sized wallet insert, so I made do with a pocket sized. 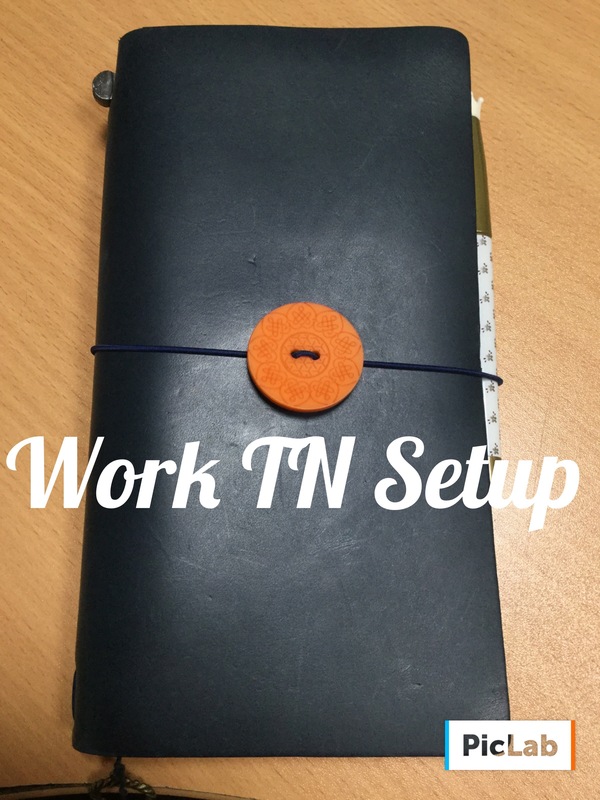 The back of the TN featured a simple secretarial pocket, which is great for quick-access stuff such as cash. The pen loop is also attached here with the same stitching. The pen loop is very generous and can take really fat pens. Perhaps my only issue here is that the leather is a little bit too thick and some clips have difficulty gripping it. The Pilot Metropolitan as shown here luckily has a strong grip and manages well in the pen loop. Overall I’m very pleased with the Cristina Gomes Burgundy Personal TN. It’s very well-made, reasonably priced, and the leather is beautiful! If you want to find out more about her other works, check out her Instagram.